i saw this outside madison square garden on 33rd and 7th. there was another a couple blocks down. i wonder how many there are in the city now. 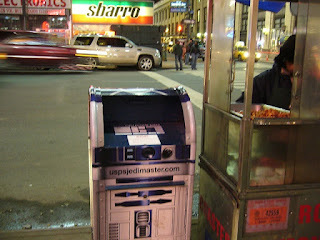 i dropped in some mail and felt like a real jedi master! YEAH.... You are a JEDI!!! Your Christmas box was returned to us today.